About a year ago I wrote about the Photosynth technology from Microsoft that creates 3D spaces from collections of photographs. At the time it only worked with a few sample data sets created by Microsoft, but there was a very nice demo to download and it was a pretty exciting piece of tech. Just a few days ago Microsoft released a full version that allows you to create your own “photosynths” by uploading collections of photos. I just had to have a go. 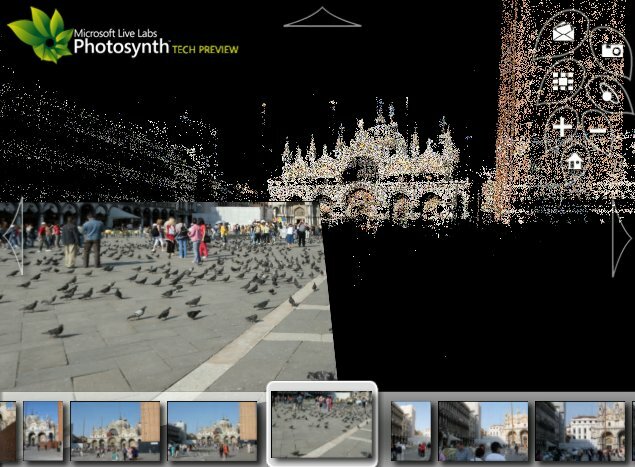 The image above shows a screen-grab of the Photosynth viewer with some data that I took. Read on for more on the new release, how I got on with it, videos and links to the 3D scenes that I created. I was fortunate enough to go to Siggraph this year in San Diego, which is the premier conference for new research relating to computer graphics. While the technology I’m going to write about in this article was not presented there this year, it another example of one of an increasing number of research projects to use the vast array of photos available through online communities such as Flickr. 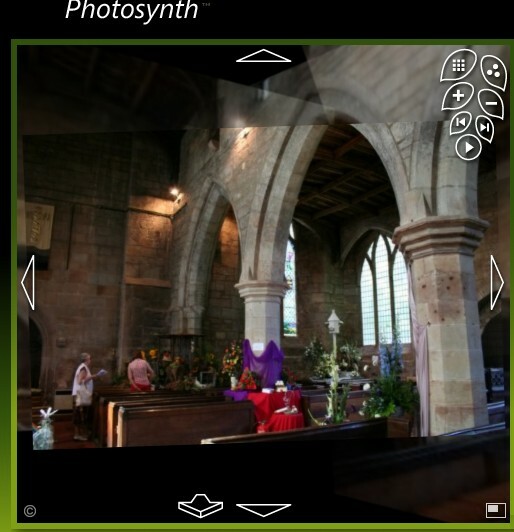 Microsoft have recently released a techology preview of a stunning new piece of technology called “Photosynth”. The aim is to create three dimensional “spaces” of real places and buildings by analysing and processing photos taken from differing viewpoints. The idea of creating spaces is subtly different from creating models. The former places the emphasis on something that is navigable and in which you feel immersed. Model reconstruction, on the other hand, is the creation of a 3D representation that can be places within a virtual environment, perhaps as part of a larger scene. It is incredibly cool stuff. This article introduces the ideas and shows where to go for more information.